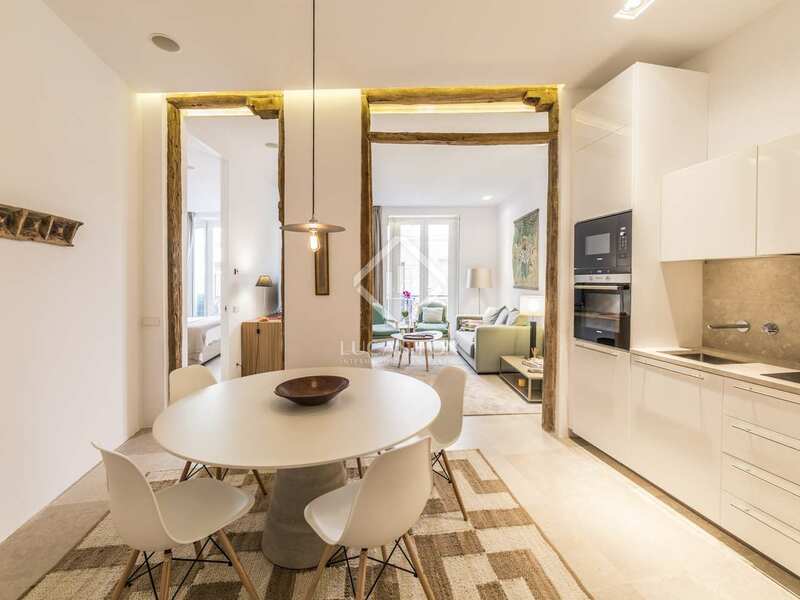 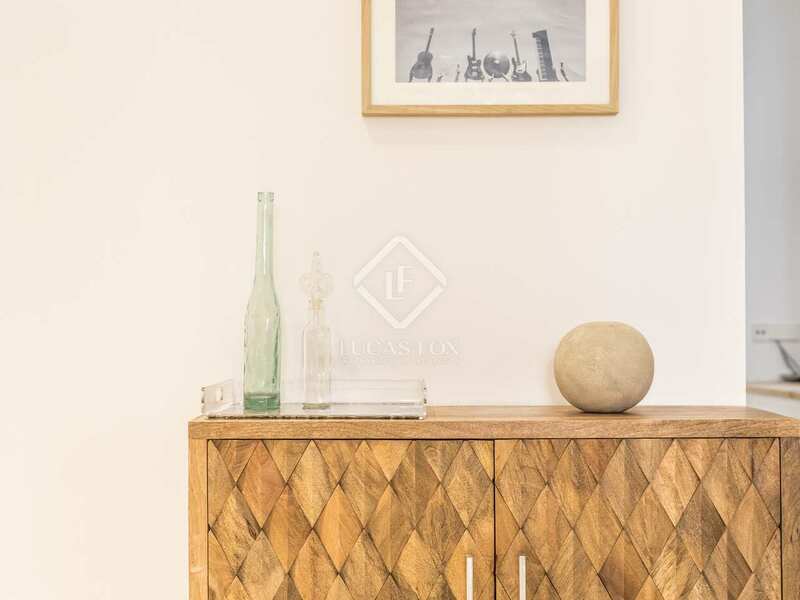 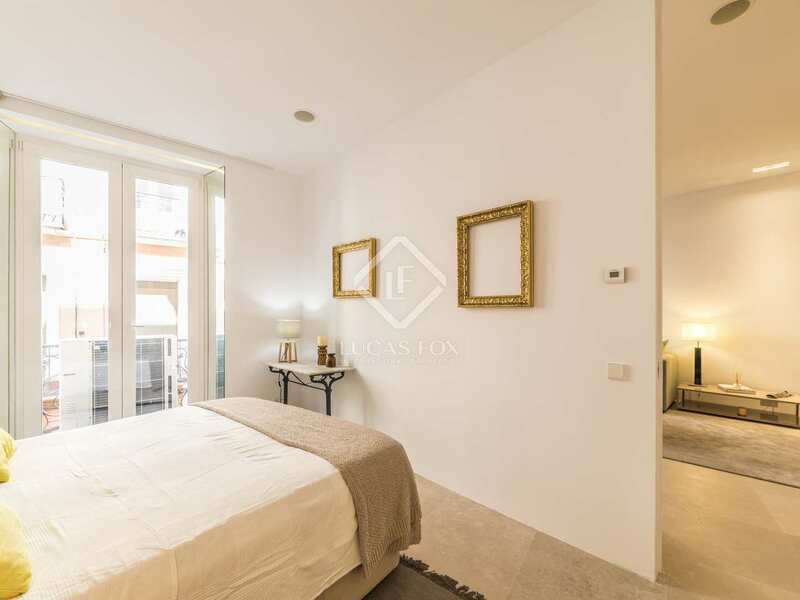 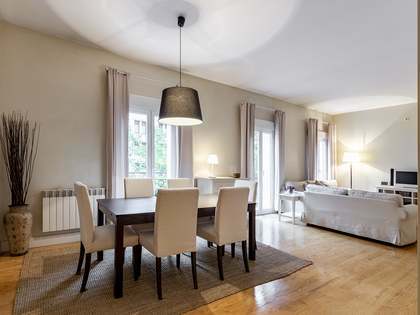 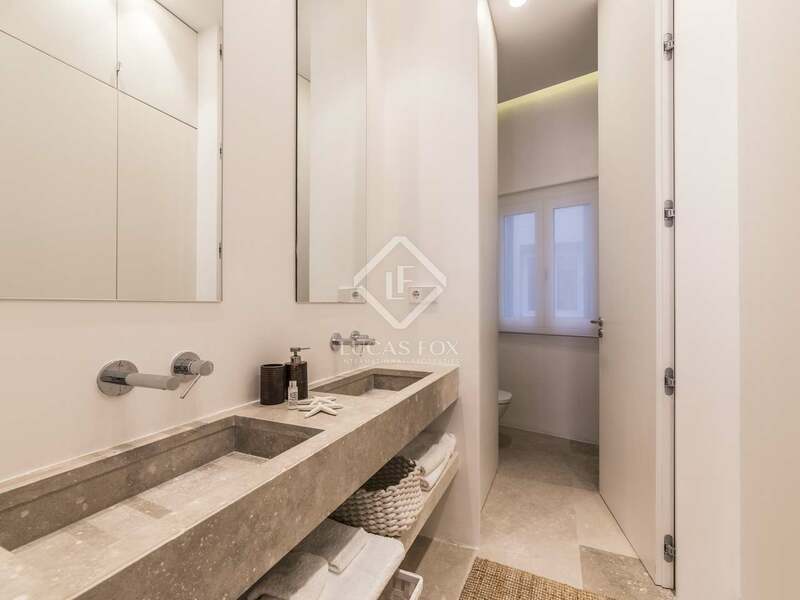 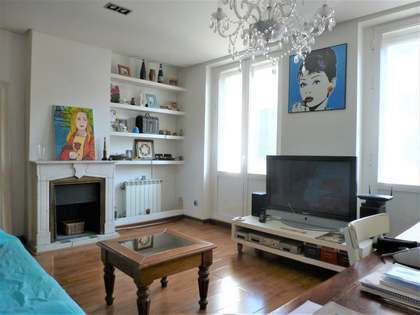 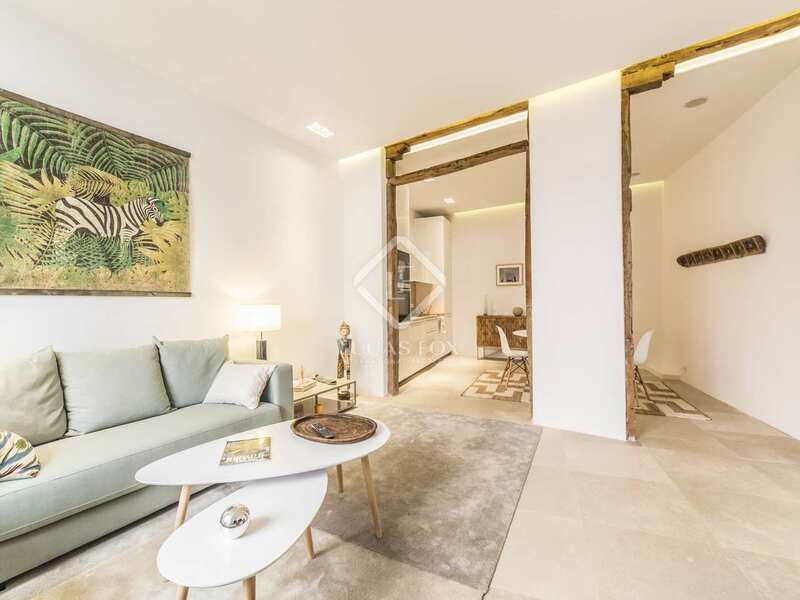 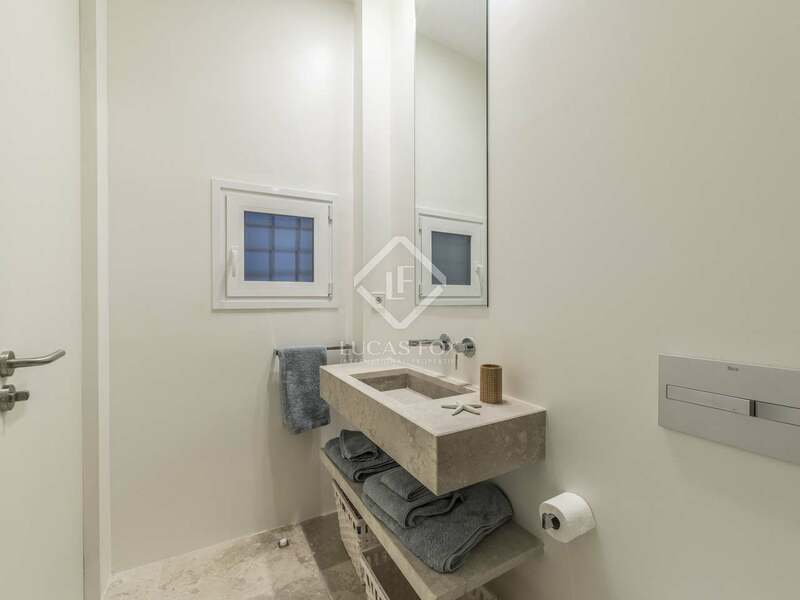 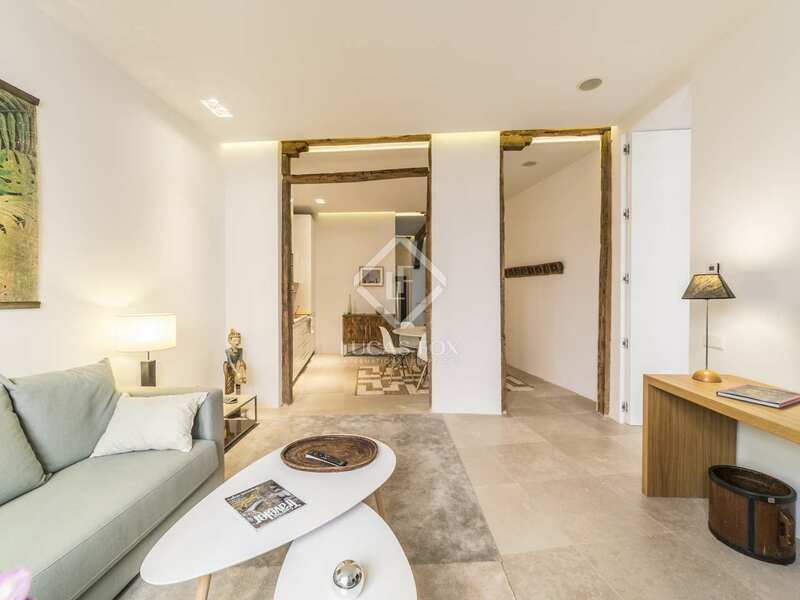 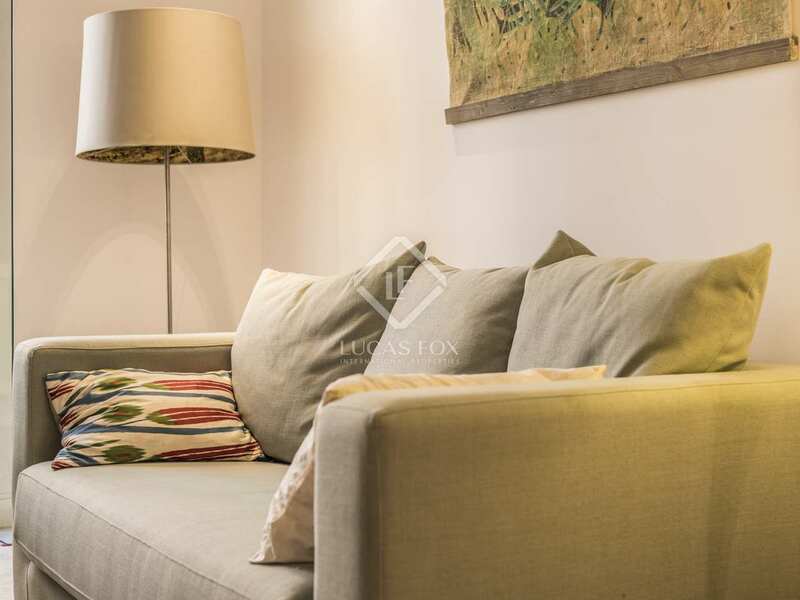 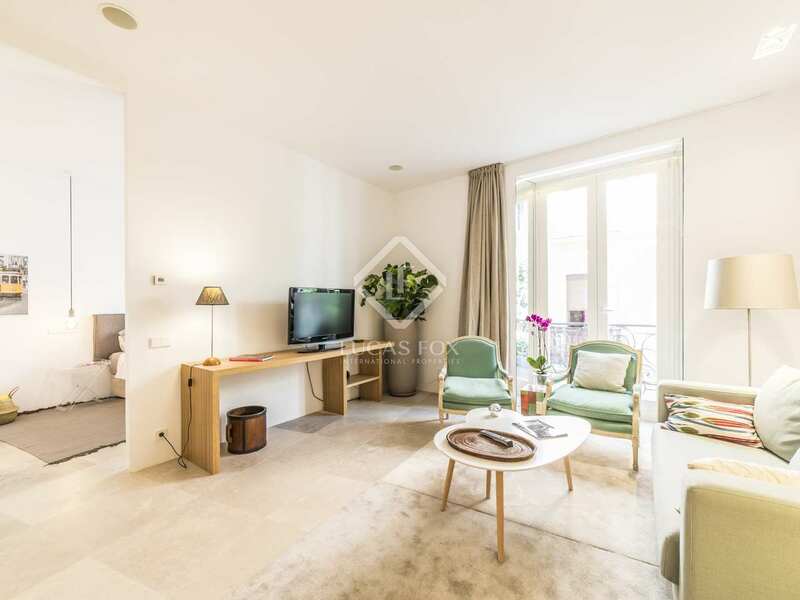 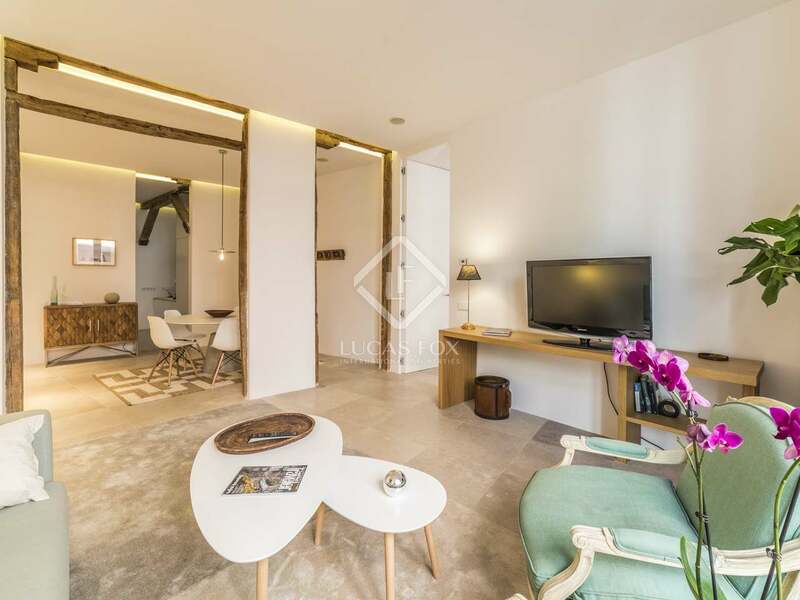 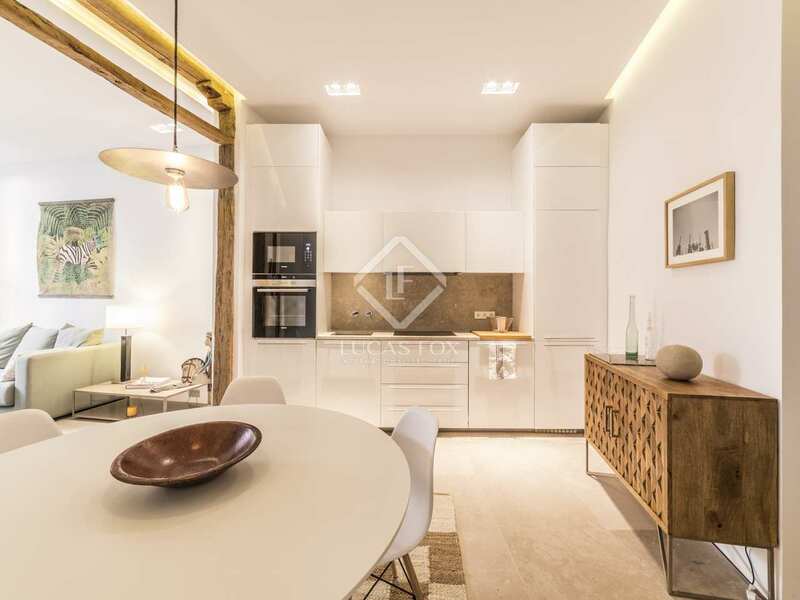 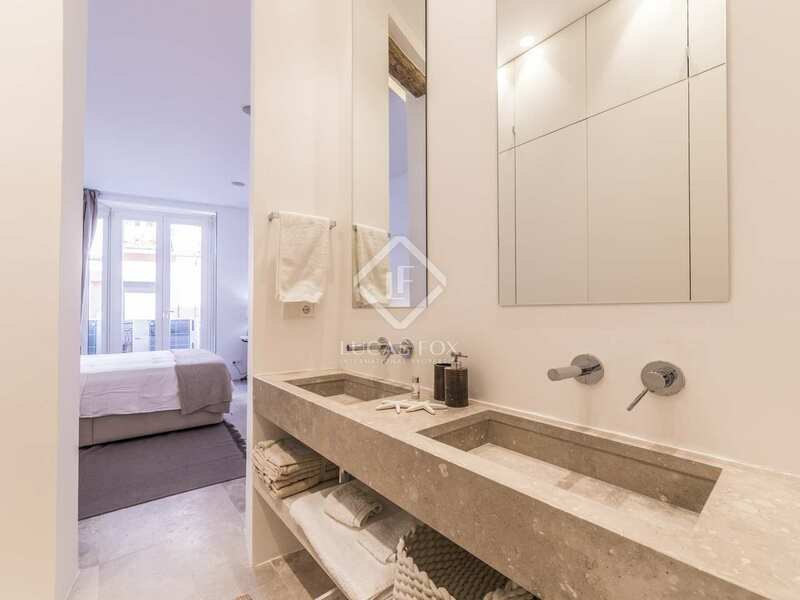 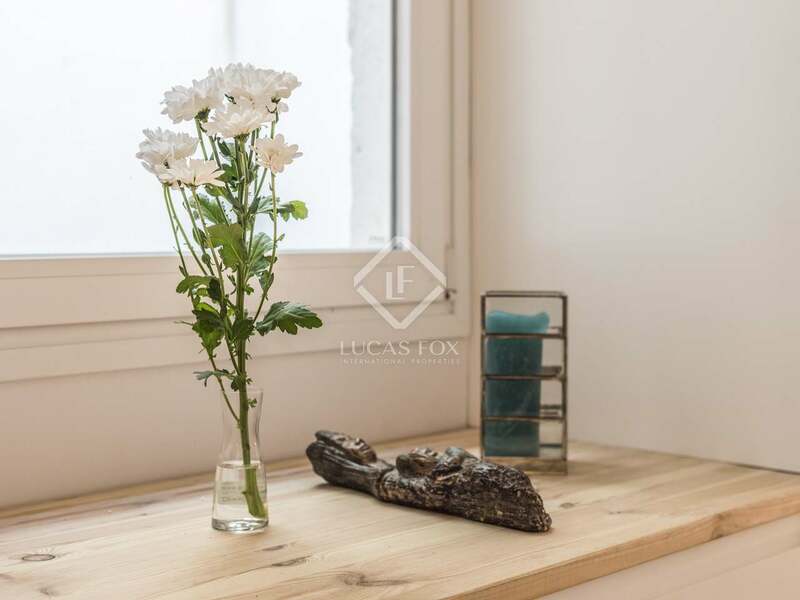 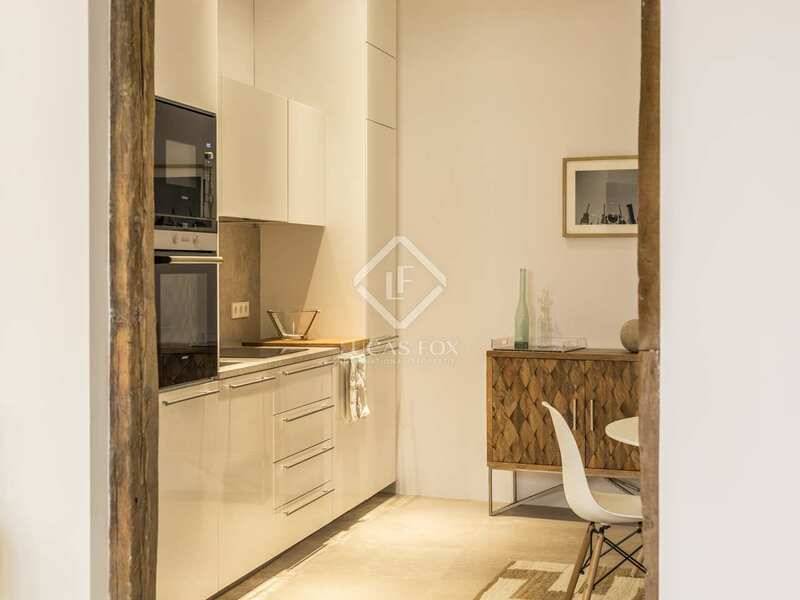 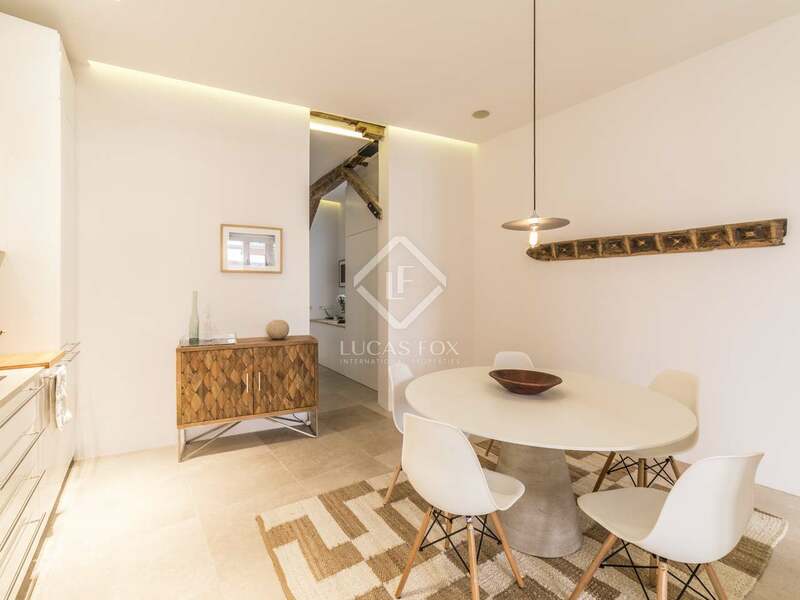 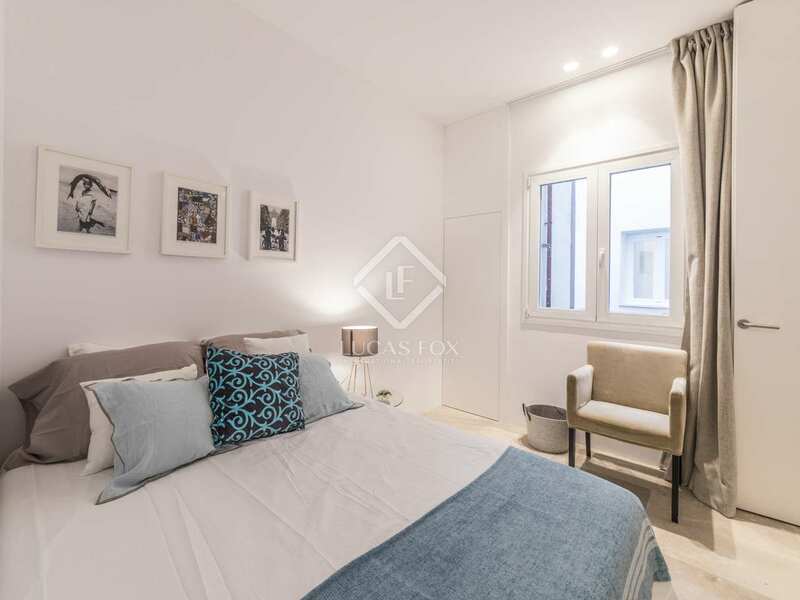 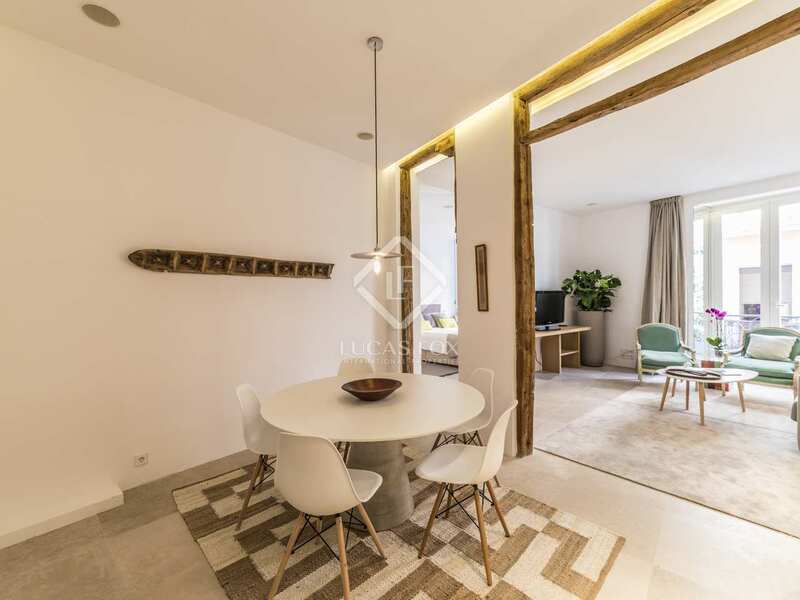 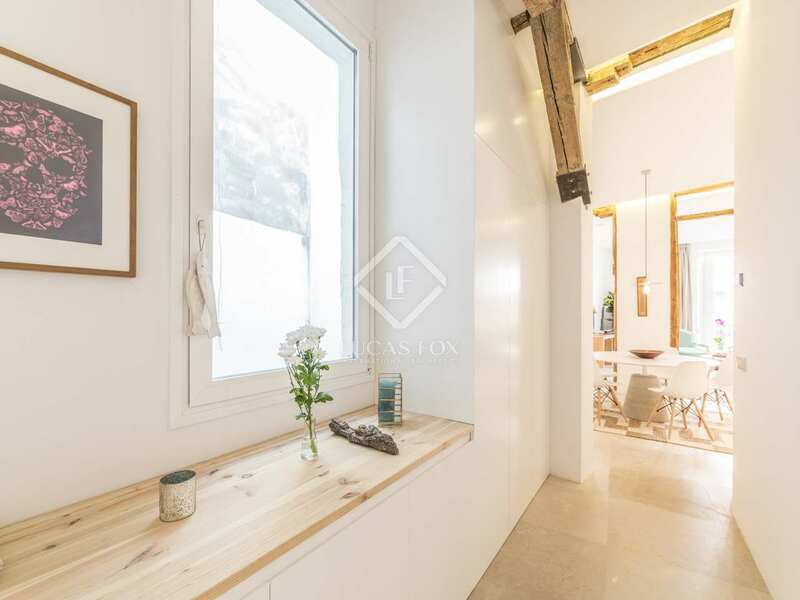 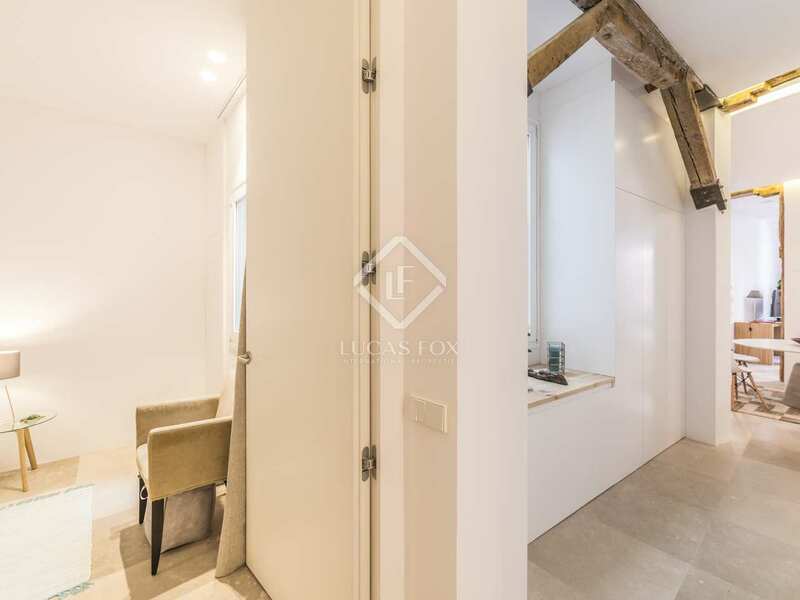 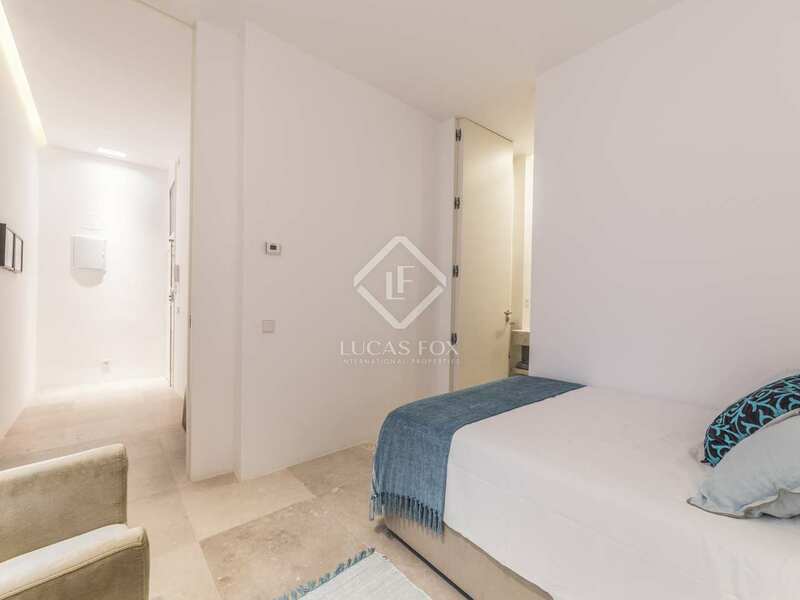 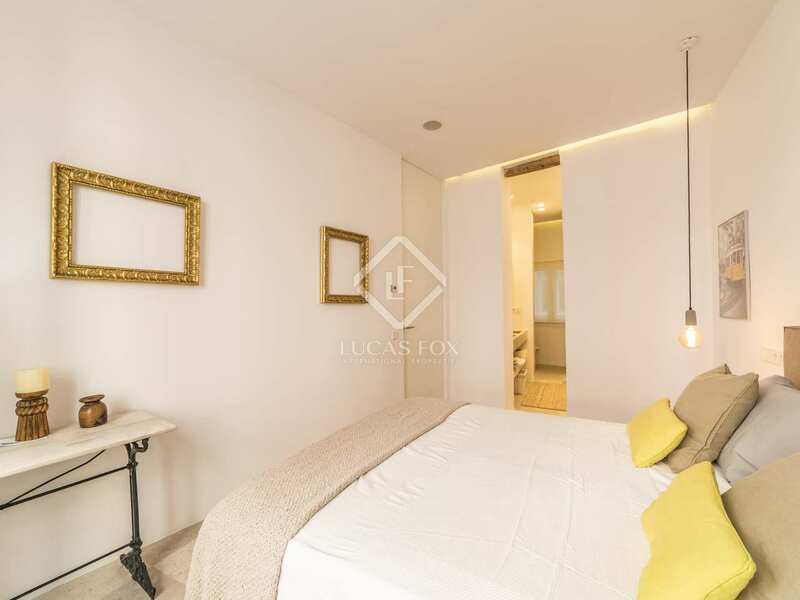 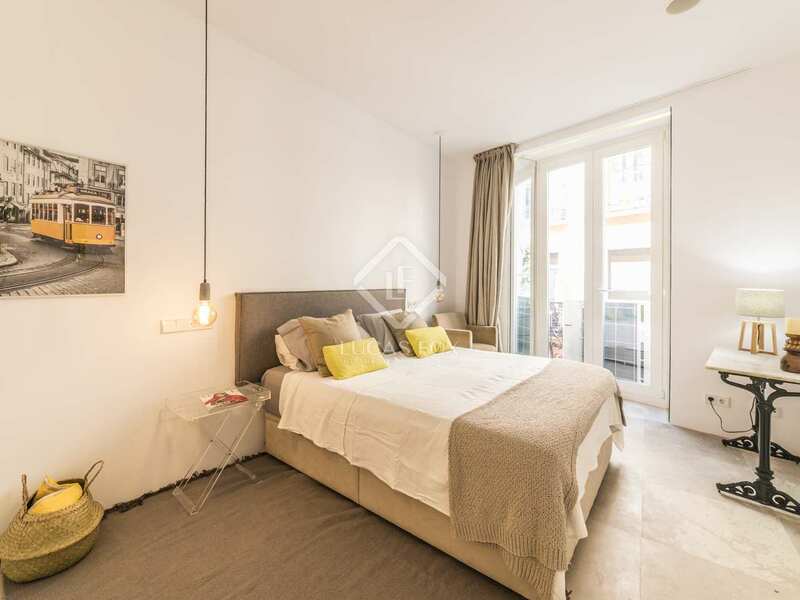 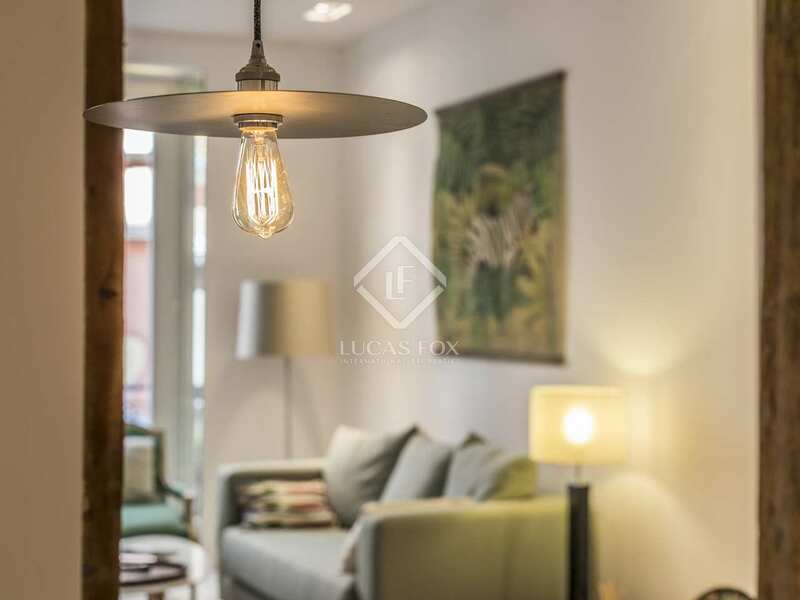 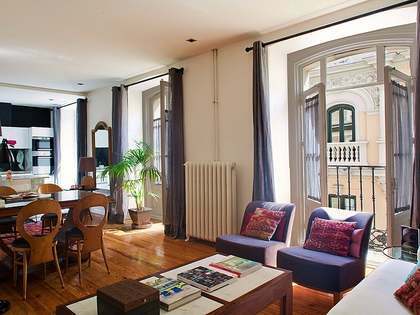 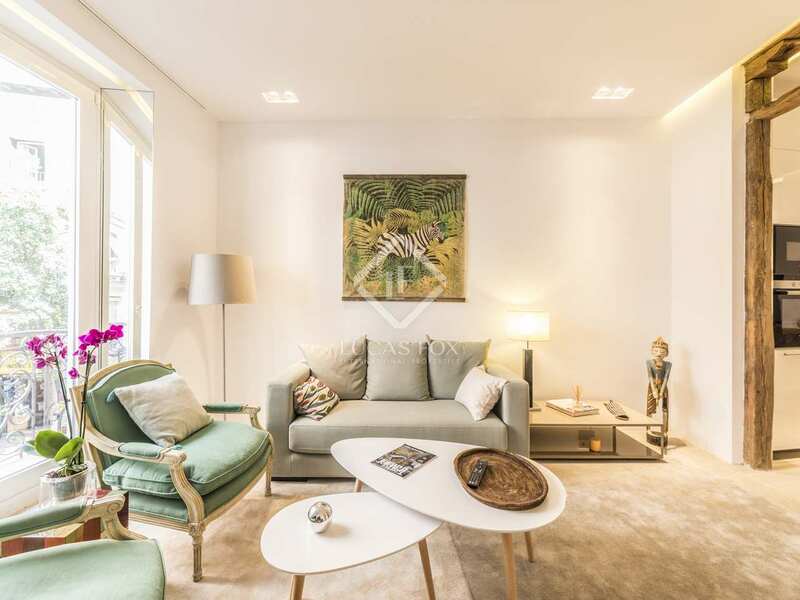 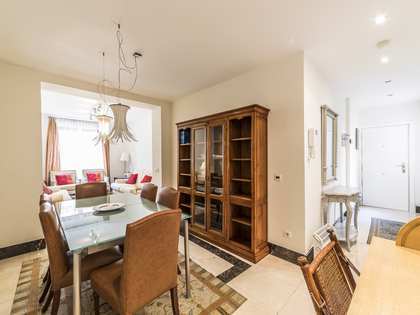 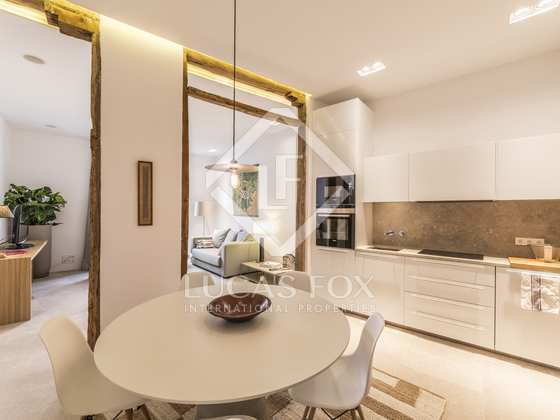 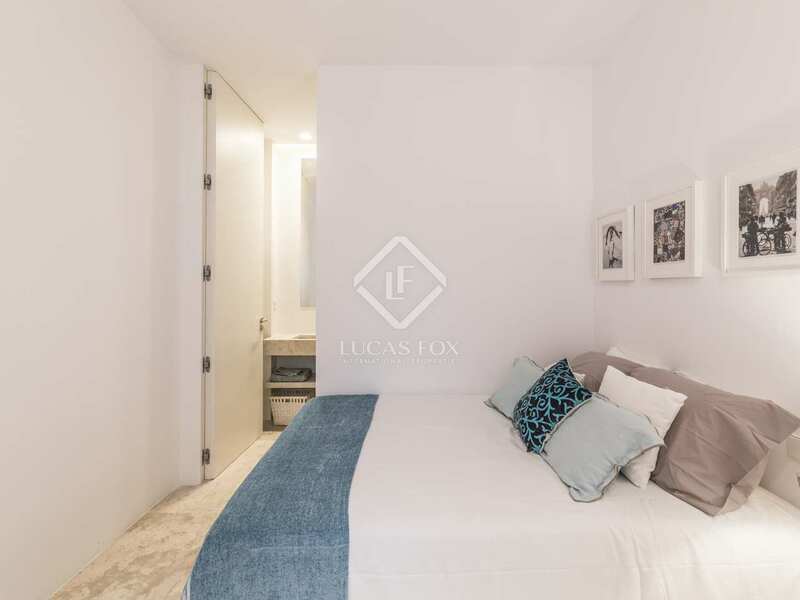 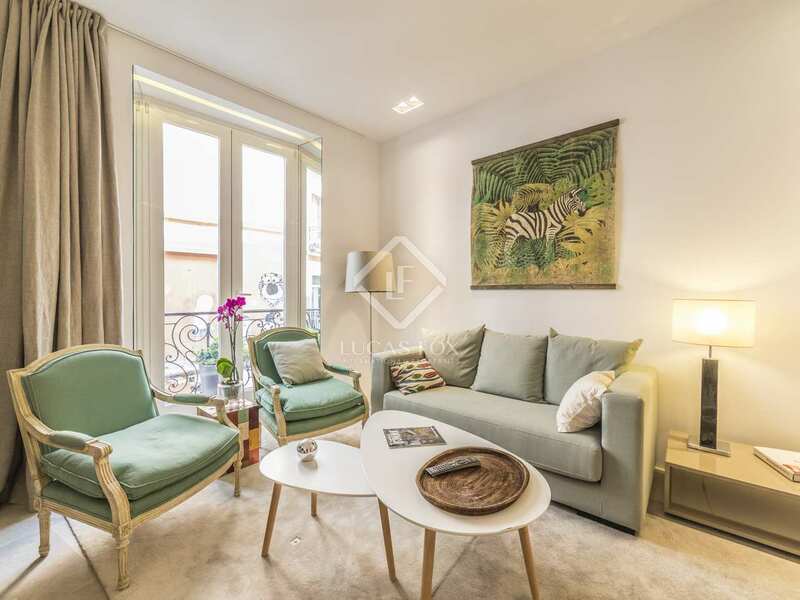 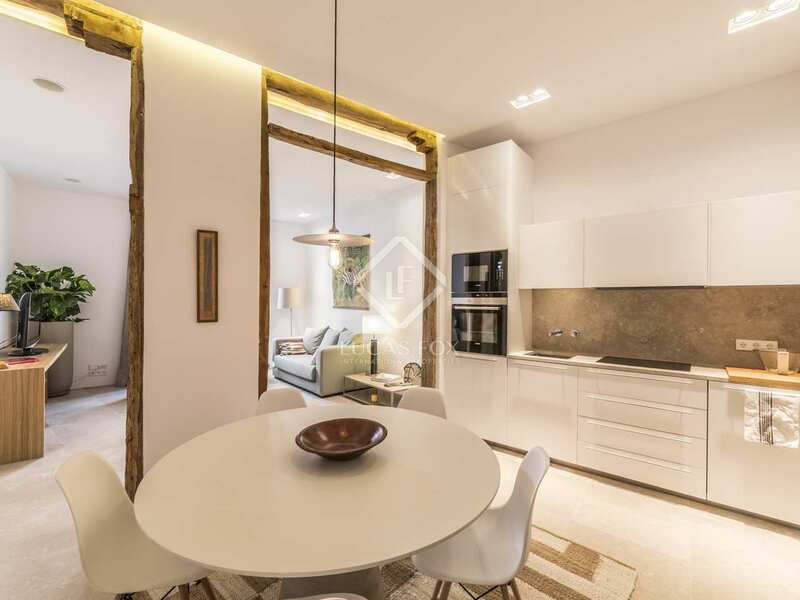 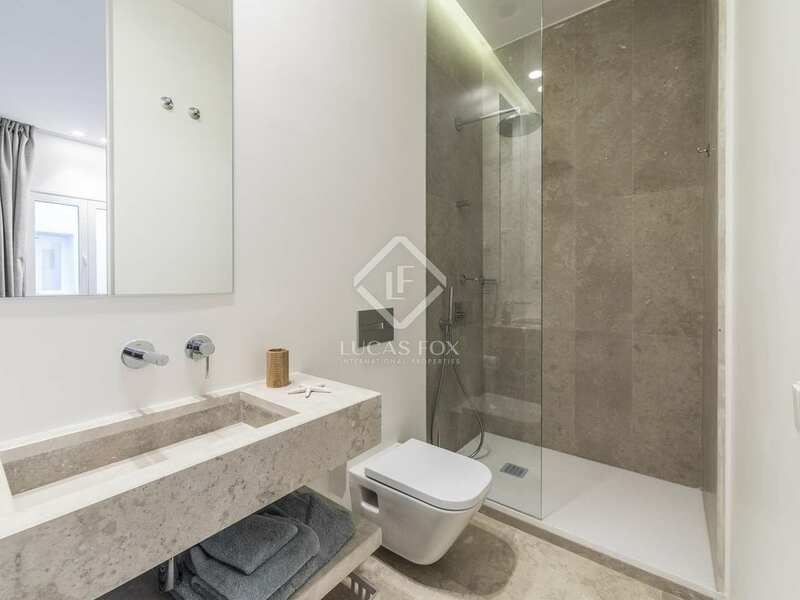 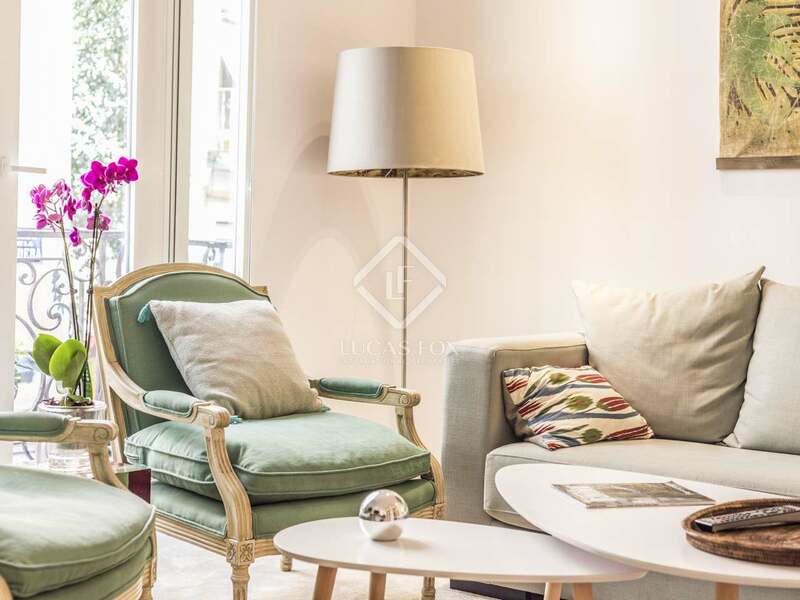 Beautiful open-plan apartment for sale in Malasaña, Madrid. 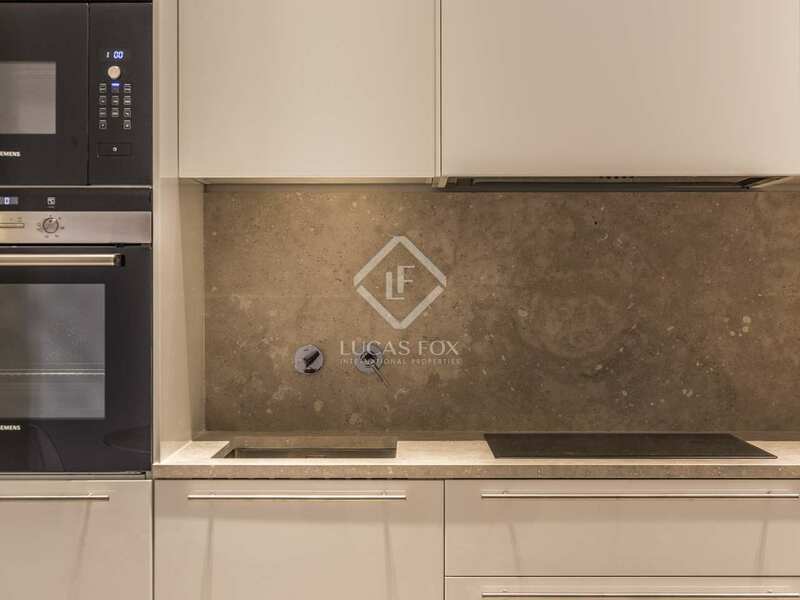 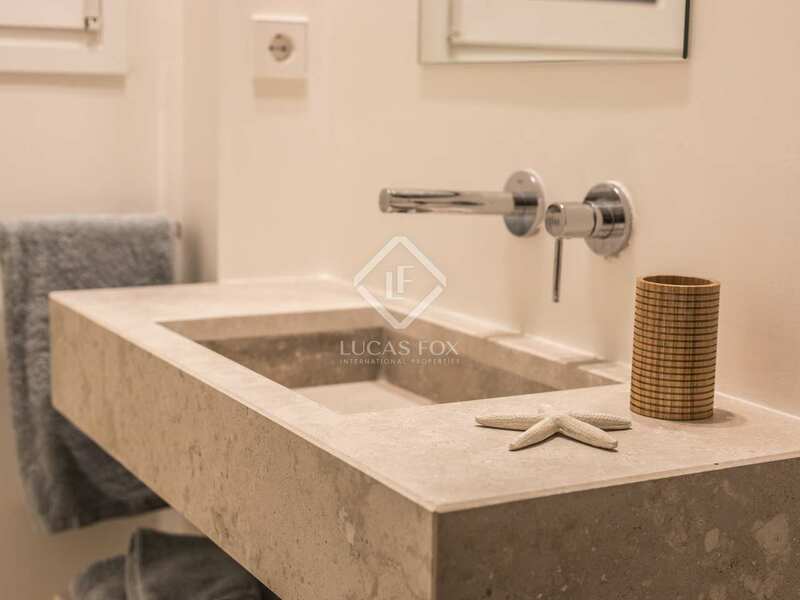 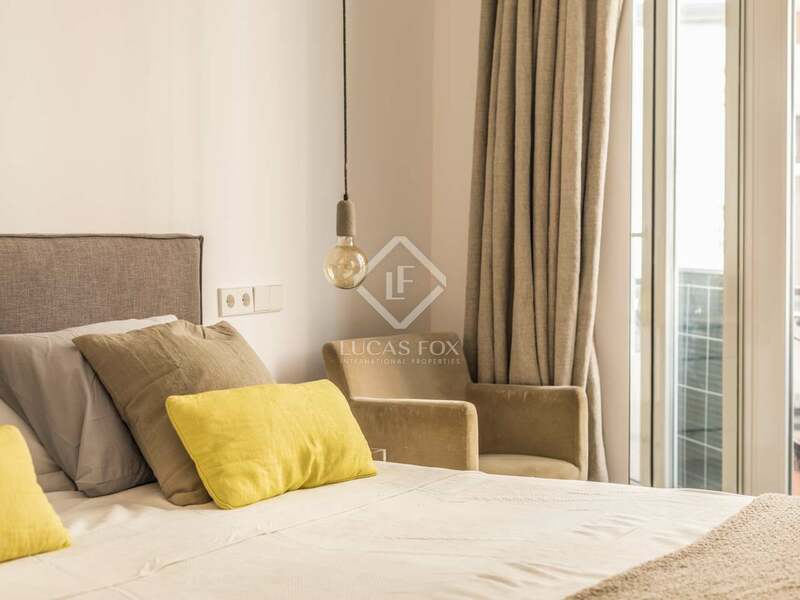 The combination of high-end finishes together with interiors designed for comfortable open plan living make this a beautiful, unique home in Madrid. 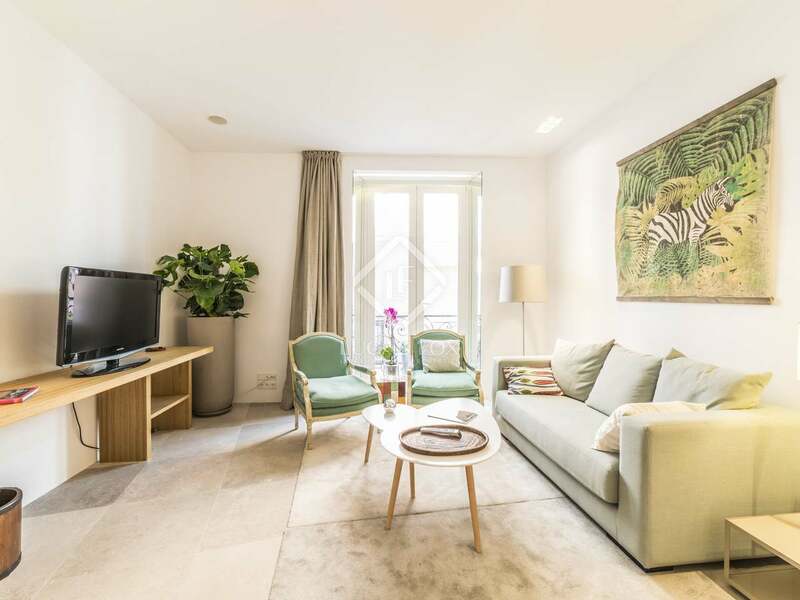 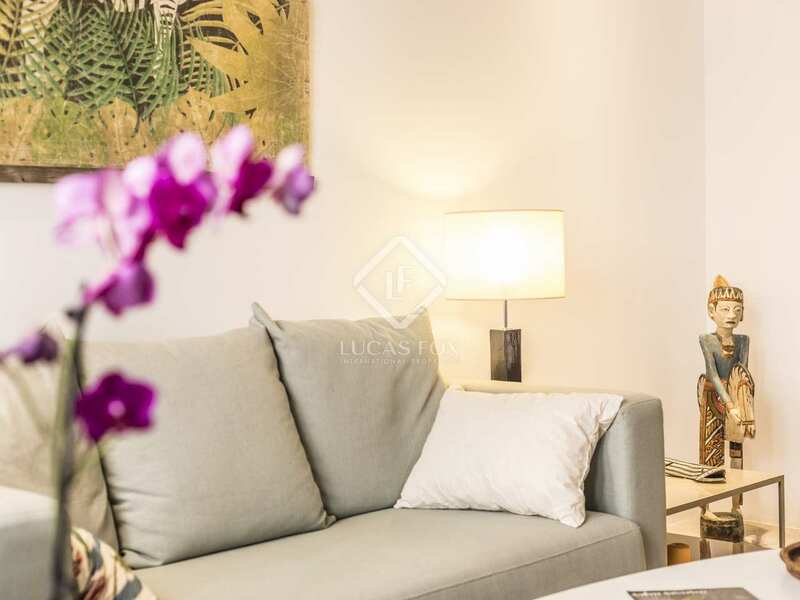 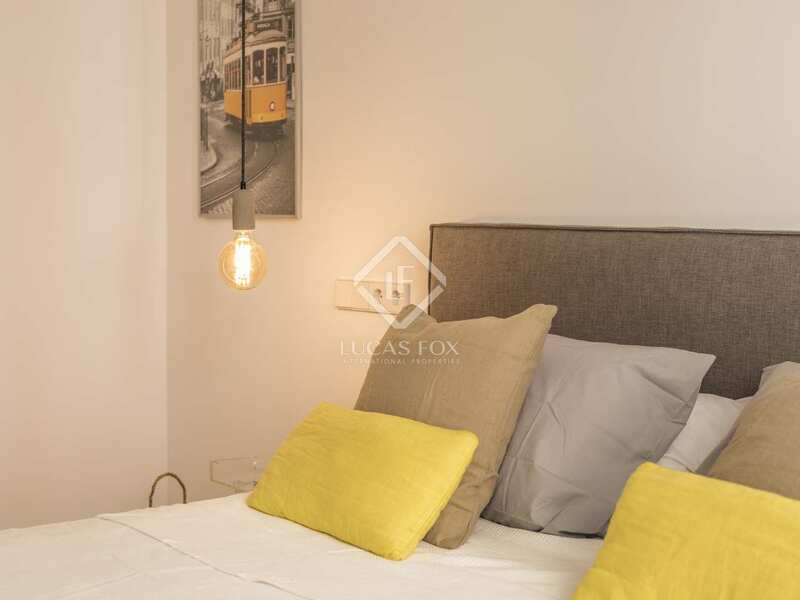 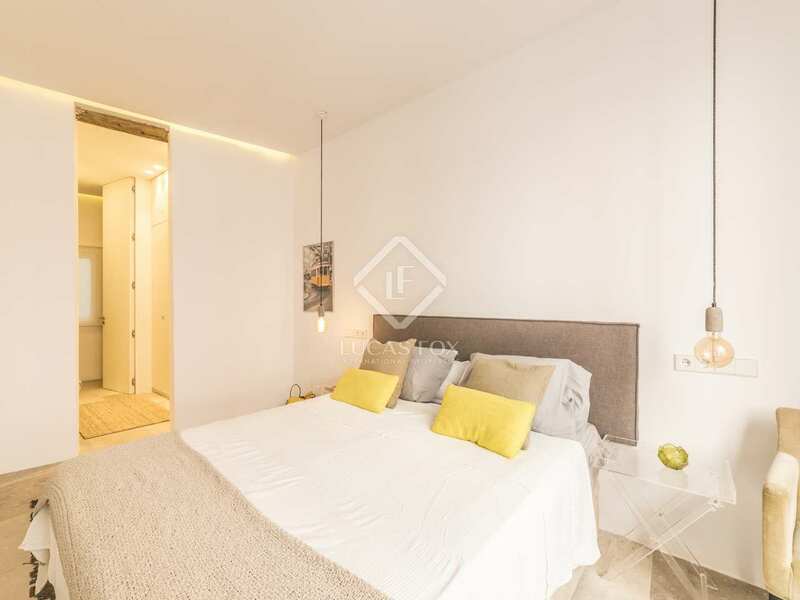 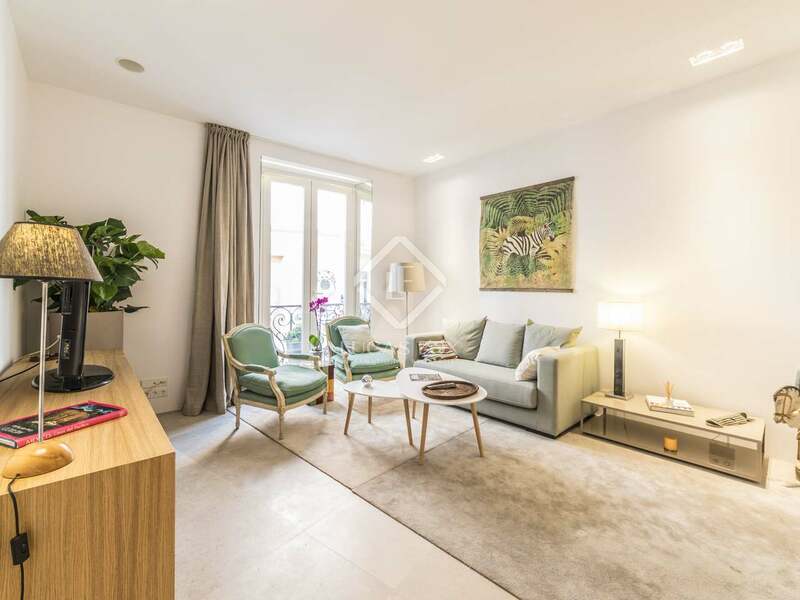 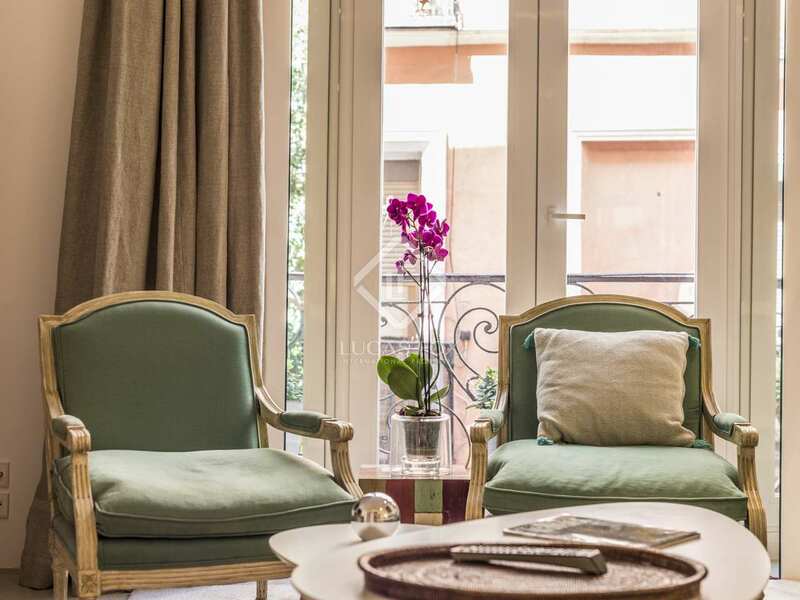 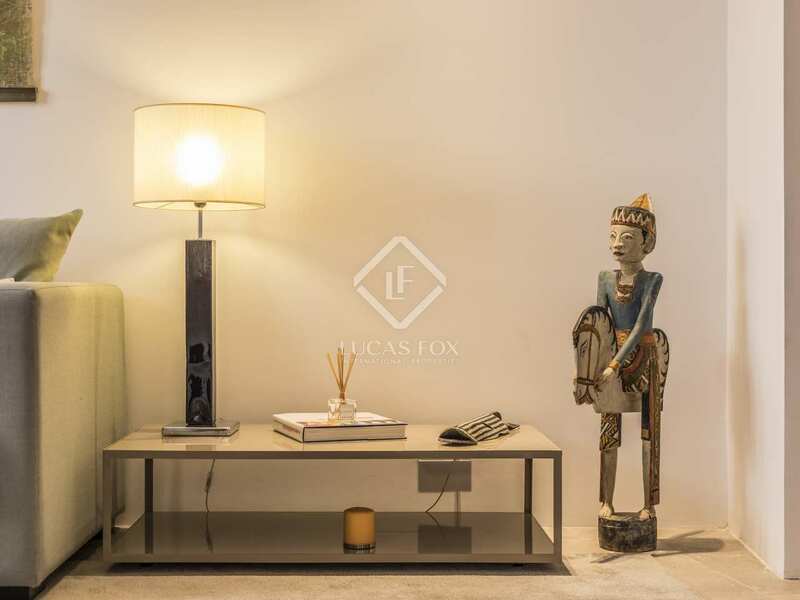 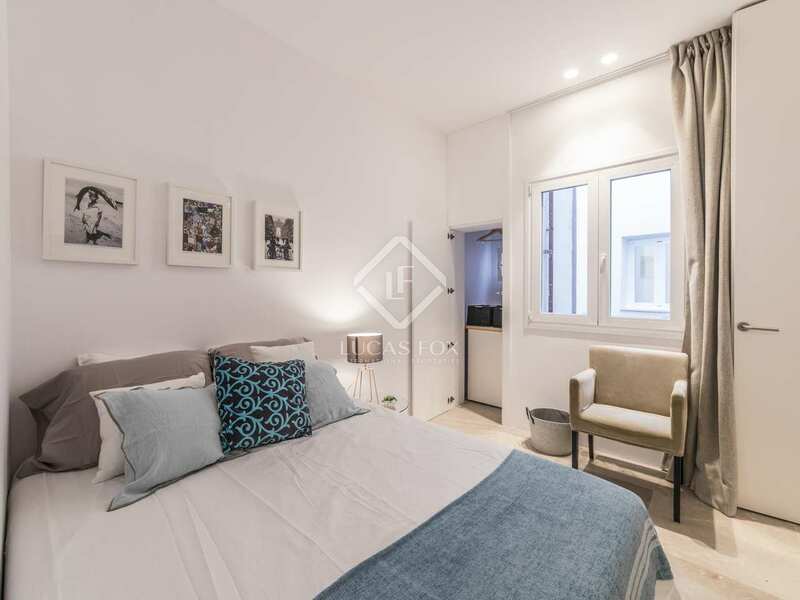 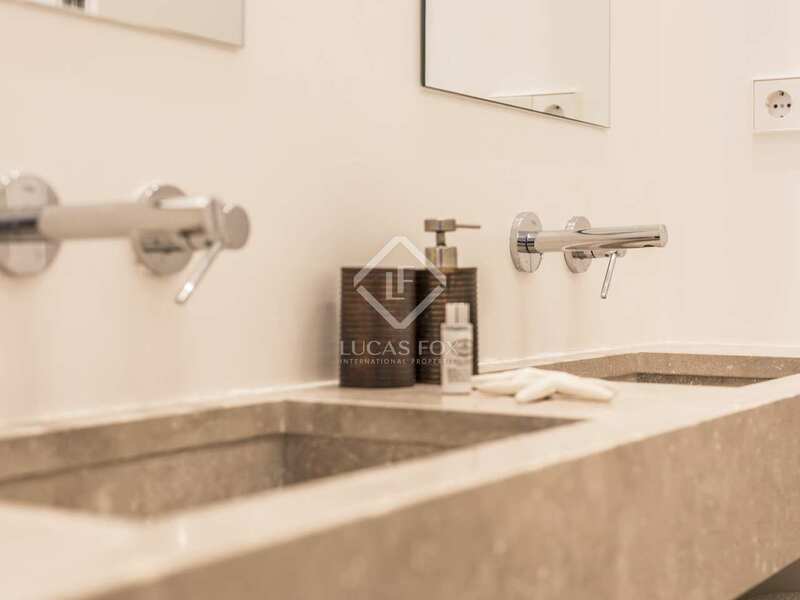 Located in Malasaña, the apartment is in a fashionable area of the capital, close to Gran Via, Sol and Palacia Real, as well as an excellent range of shops, bars and restaurants. 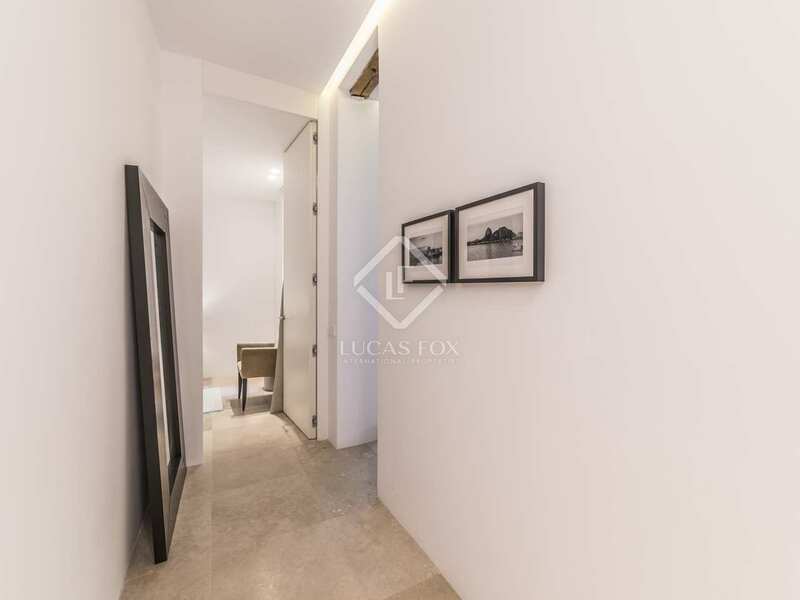 On entering the property a hallway leads to, on the left, a bedroom with an en-suite bathroom and wardrobe space. 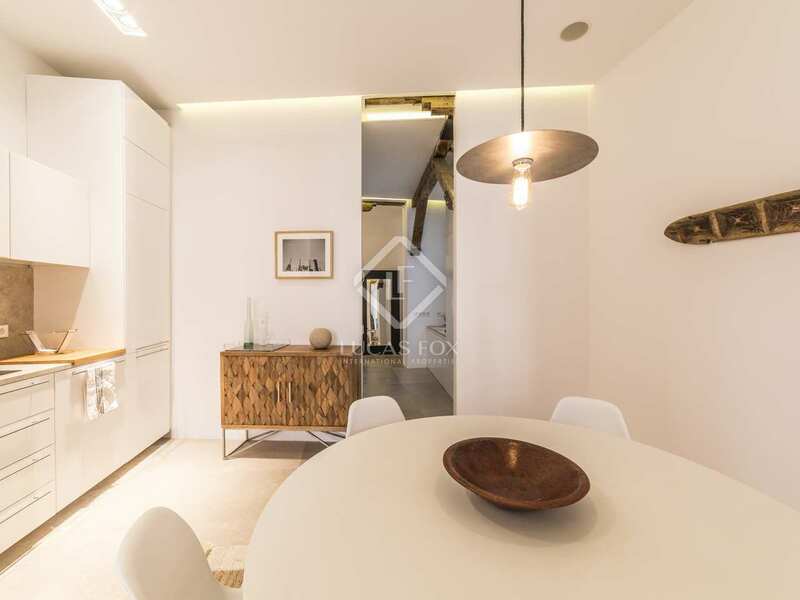 Further along the hall is an open-plan kitchen with a dining area connected to the spacious living room. 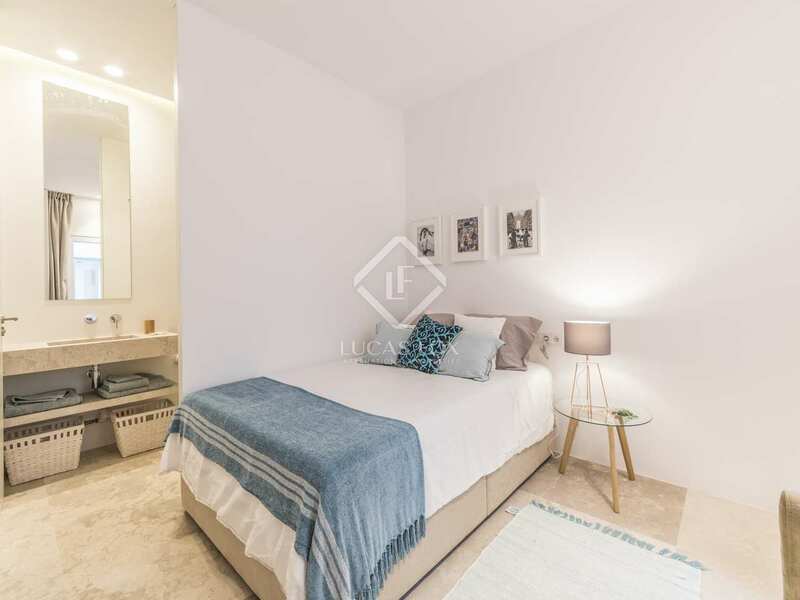 To the left of the living area is the master bedroom with an en-suite bathroom and built-in wardrobes for maximum storage. 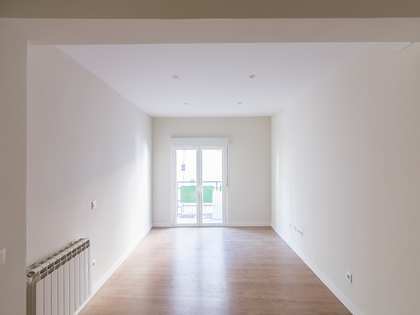 The apartment has an underfloor heating and cooling system for year-round comfort. 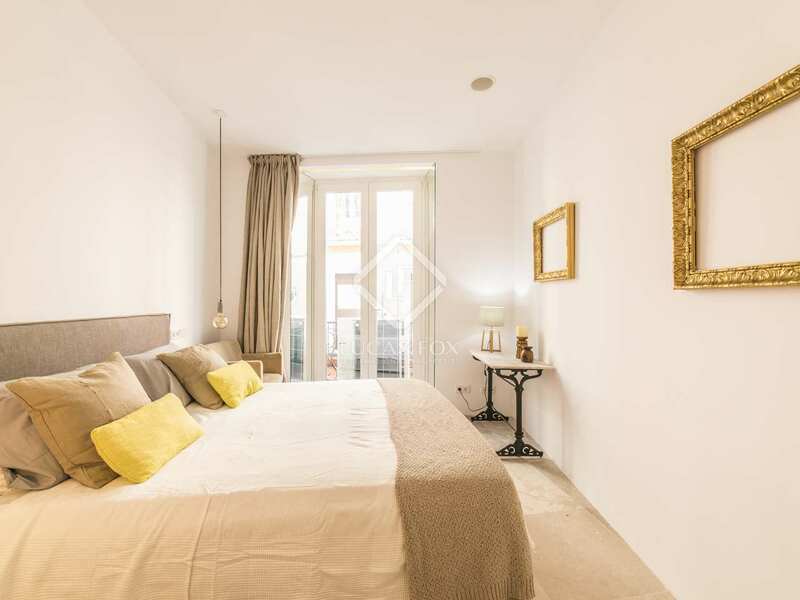 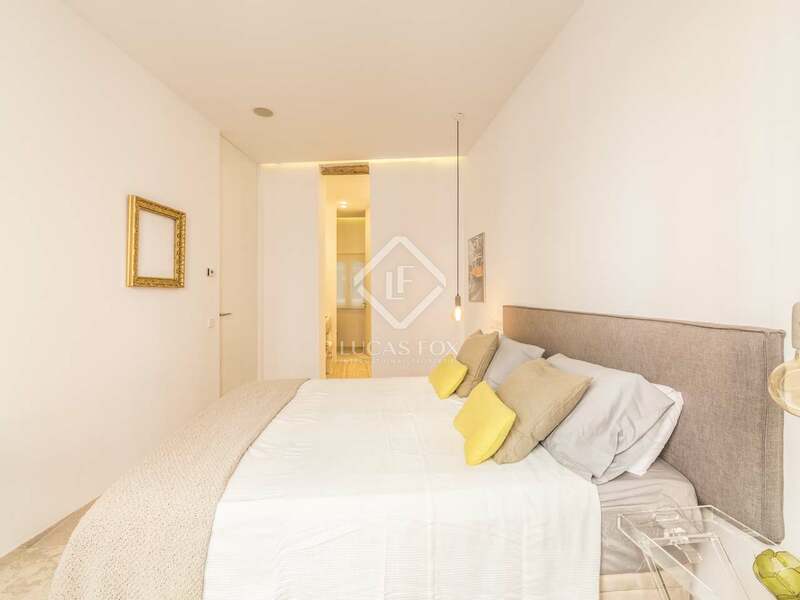 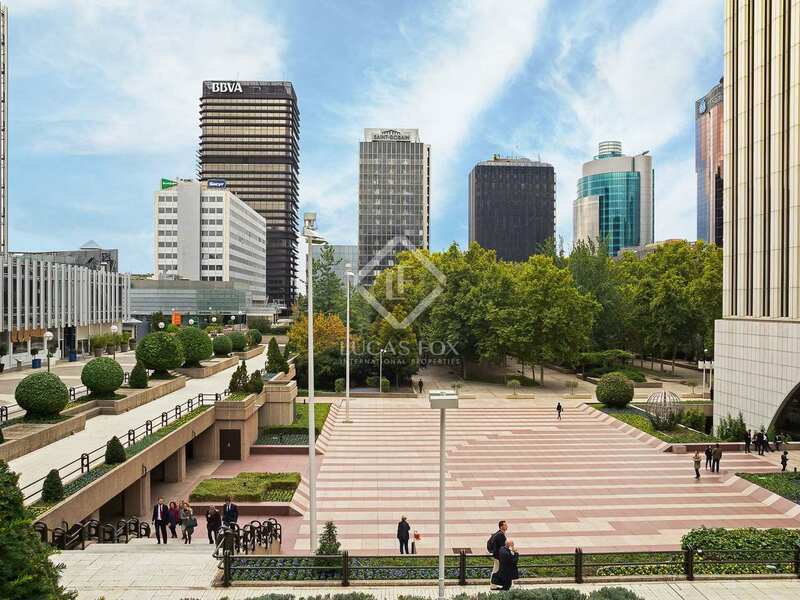 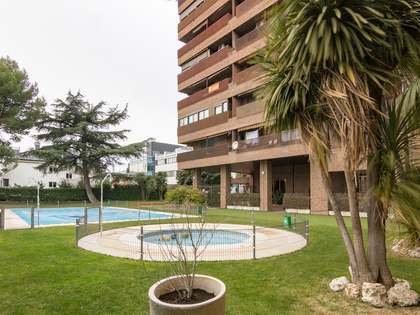 Property located in the very trendy central area of Malasaña. 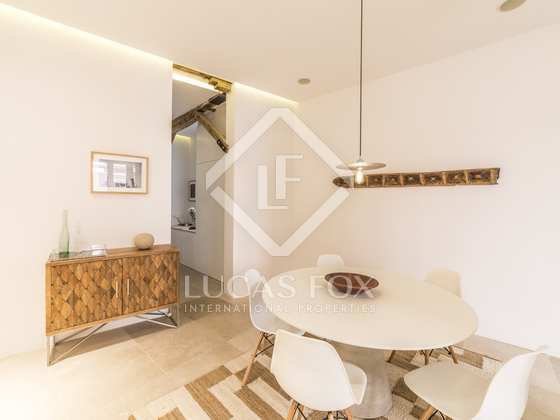 There are very good transport links to the rest of the city with nearby metro stations including Tribunal and Noviciado. 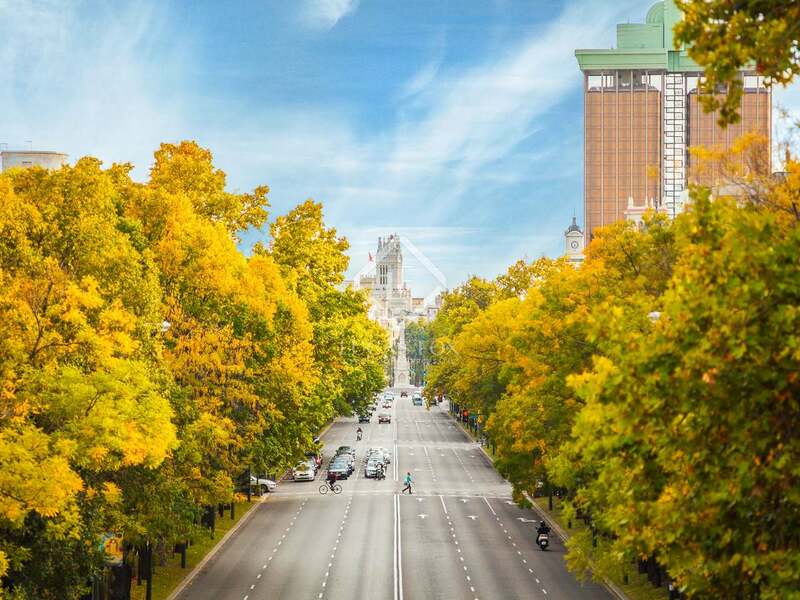 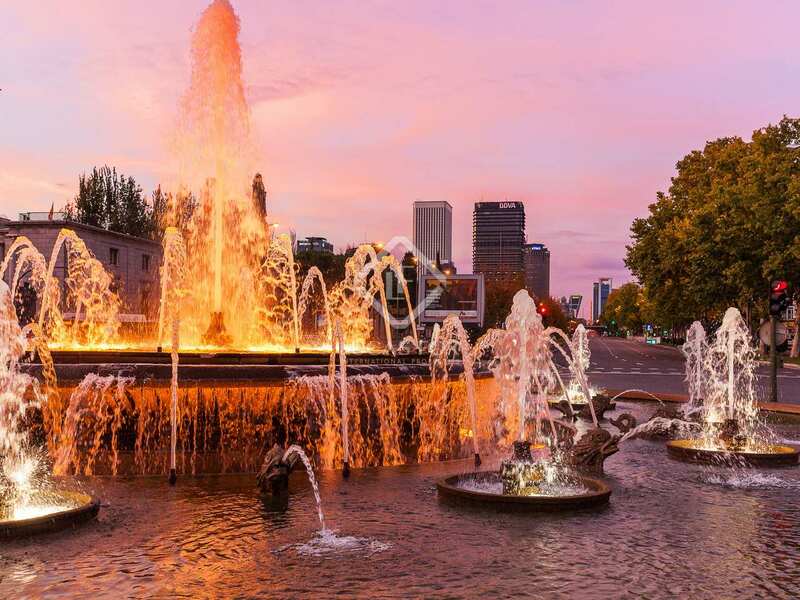 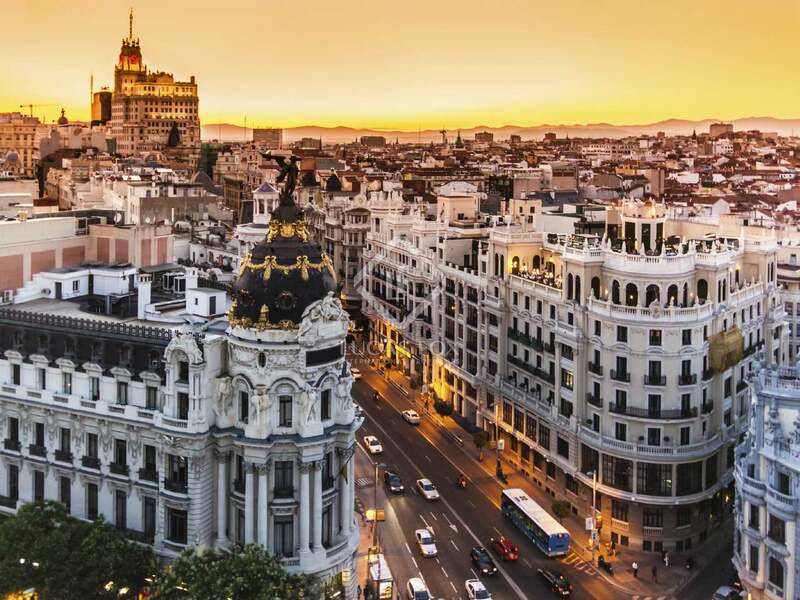 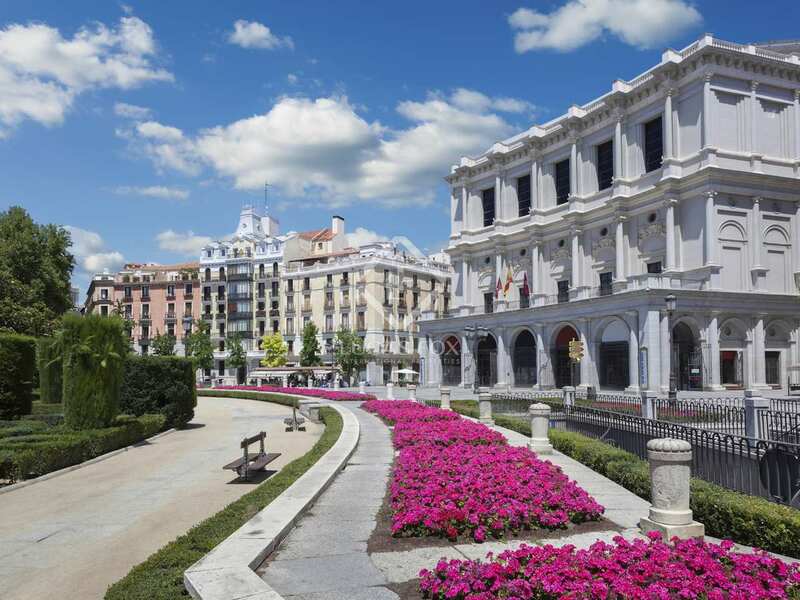 There are also many sights of interest nearby including Gran Vía, Sol and Palacio Real, as well as many of the city's excellent shops, bars and restaurants.